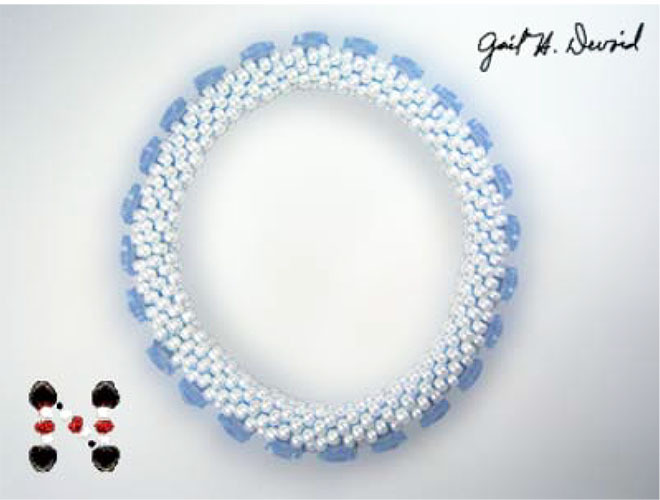 This bracelet uses Swarovski blue butterfly crystals and Miyuki 8/0 beads in a bead crochet pattern that is quick to work up. Instructions include sources for the materials. This is great for beginners learning bead crochet and includes an easy start. Bracelet can be finished with an invisible join (instructions included), or with the purchase clasp (instructions also included).